Arrive in Zagreb. Transfer to the hotel. The Upper Town is Zagreb’s historical center which comprises Church of St. Mark with the famed multi-colored roof, the Parlament building (Sabor), the Stone Gate, Cathedral. Down Town is business and cultural center of Zagreb with its main square of ban Josip Jelacic, the Croatian National Theatre and University. After breakfast leaving for Trakoscan and visiting the Trakoscan castle, one of the most attractive castles in Croatia that once belonged to the Draskovic family and was turned into a museum in the 20th century. The museum holds the inventory from the 15th to the 19th century. Leaving for Varazdin, once the capital of Croatia and known as “the city of baroque” and “small Vienna”. Continue to Ljubljana, the capital of Slovenia. This morning we enjoy a local tour of Ljubljana, including a ride on a funicular to visit the castle and view the famous Triple Bridge. After the sightseeing of Ljubljana we depart for Bled, and enjoy the scenery as we travel west. Upon arrival in Bled we take a boat ride to the Island in the middle of Lake Bled and visit the Church of the Assumption. We then take a private tour of Bled Castle, one of the most visited tourist attractions in Slovenia, built on top of a 130 meter cliff overlooking Lake Bled. 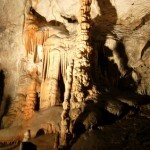 Today we depart for Postojna where we will tour the famous Postojna Cave. 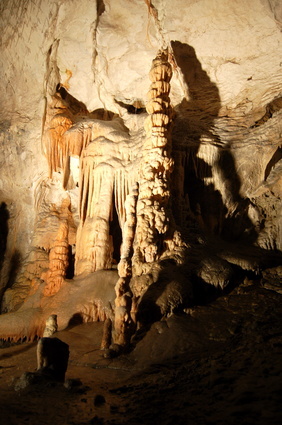 We begin our visit aboard the cave train and the lighting allows us to admire the size and splendor of the underground world. Departure to Opatija, one of the most famous tourist resorts in the Mediterranean, which in the last century served as a resting-place of the European aristocracy and was often called the Croatian Nice. 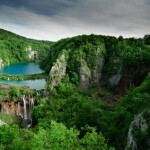 Dinner and overnight at the hotel in Zadar or the area. 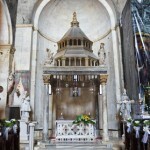 Morning walking tour of Zadar which includes the Cathedral of St. Anastasia, considered to be the most impressive basilica in Dalmatia, church of saint Donat, a magnificent monument of Romanesque architecture, the ruins of roman Forum. After the sightseeing tour departure for Sibenik, the oldest Croatian town on the Adriatic, boasting the famous cathedral of St James, the most significant architectonic monument of the Renaissance in Croatia. Continue to Split. Dinner and overnight in Split or the area. Morning city tour of Split. Located in the center of the Dalmatian coast and nestled between the mountains and the sea, Split is a picturesque ancient town built by the Roman Emperor Diocletian. Rest of the day is free for shopping or coffee at one of many Split’s cafés. Leaving for a full-day excursion to the island of Hvar. The central settlement on the island is the town of Hvar, the place of the exceptional cultural and historical heritage with a 100-year-old tradition in tourism. 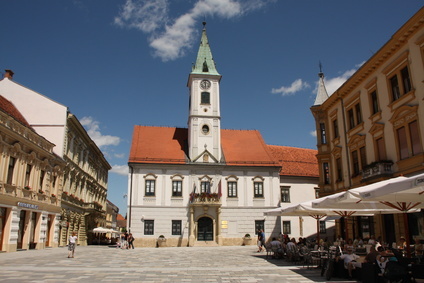 In the town where almost every building is a monument one of the oldest town theatres in Europe from the 17th century has found its place, as well as “Pjaca” – the longest square on Croatian coast of the Adriatic. A visit to the Franciscan monastery of Friars Minor from the 15th century with lush Mediterranean garden. 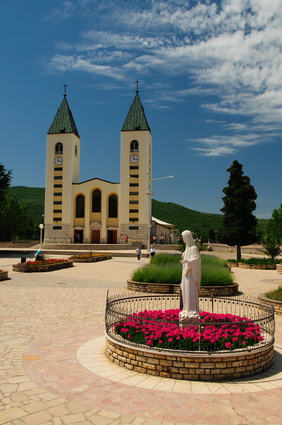 Morning departure towards Medjugorje – one of the most visited pilgrimage places among Catholics. According to the testimony of the six young parishioners, the Blessed Virgin Mary appeared in the parish of Međugorje on June 24, 1981. After short sightseeing continuation to Mostar. Sightseeing tour of the Old City of Mostar, recently included in the UNESCO’s List of World Cultural Heritage. We tour its elegant Bridge, Old Bazaar, the Mosque and a typical Turkish house. Morning city tour of the old town. The walls of Dubrovnik girdle a perfectly preserved complex of public and private, sacral and secular buildings representing all periods of the city’s history, beginning with its founding in the 7th century. Particular mention should be made of the city’s main street, Stradun, the Rector’s Palace, the church of St. Vlaho, the Cathedral, three large monasteries, and the City Hall. 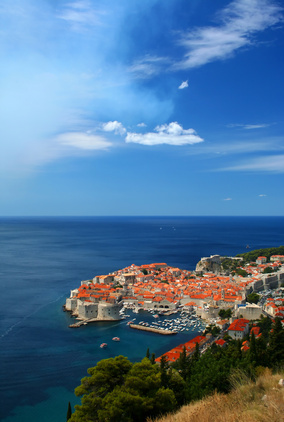 The Republic of Dubrovnik was the center of a separate political and territorial entity, and was proud of its culture, its achievements in commerce and especially of its freedom, preserved down so many tempestuous centuries. FD bus excursion to the island of Korcula – said to be a birthplace of Marco Polo, a famous seafarer, explorer and adventurer. Upon arrival we’ll explore the town of Korcula with its well preserved town walls from the 13th century and a beautiful cathedral of St. Mark – the most important building in Korcula. After the sightseeing tour – free time till departure for the town of Orebic on the Peljesac peninsula, the second biggest peninsula on the Adriatic sea after Istria. The sunny climate ensures perfect conditions for the wine-growers on the peninsula. Continuing for Ston, the town divided in two fortified settlements placed on the isthmus of the peninsula of Peljesac and connected with “Ston walls”, 5 km long system of defense built in 14th century. Impressed visitors gave them the name of “Croatian Great wall of China”. Ston is also a well-known oyster-growing capital in Croatia. 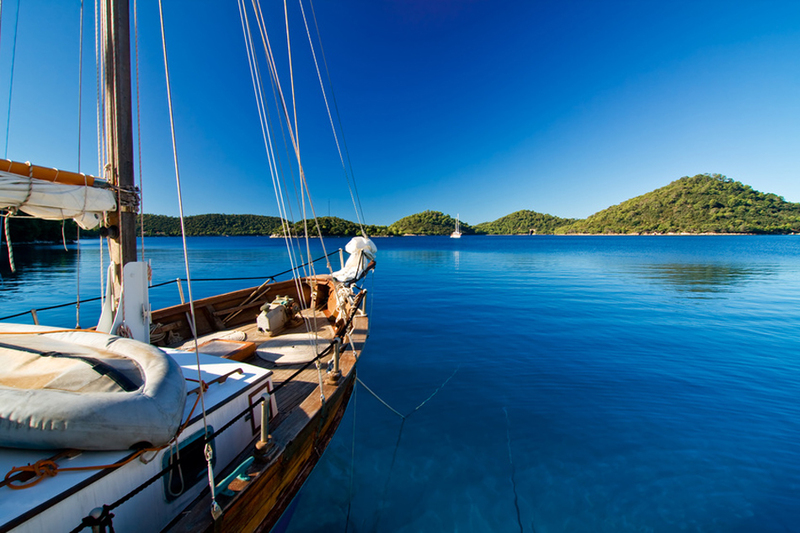 After breakfast boat trip to Kolocep, Sipan and Lopud – islands of the attractive Dubrovnik archipelago. 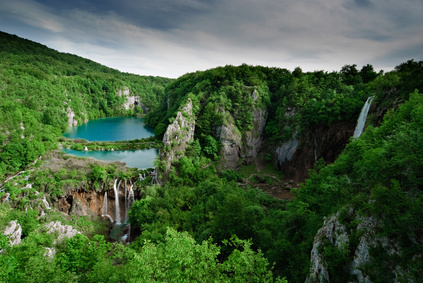 Sightseeing of Kolocep, covered with coastal pine and subtropical vegetation, a favorite vacation spot for the people from Dubrovnik. After a break, we sail on to the town of Sudjuradj on the island of Sipan. Sightseeing tour of the fortified castle-fortress of the Skocibuh family from the 16th century, as well as the remains of the summer residence of the Archbishop of Dubrovnik. We continue on to Lopud, “the island of peace”, which due to its lush subtropical vegetation, beautiful sandy beaches and crystal clear sea is one of the favorite excursion spots in the region of Dubrovnik. Departure on a full-day excursion to Montenegro. Panoramic drive through Perast to Kotor, one of the best preserved mediaeval cities, surrounded by walls. 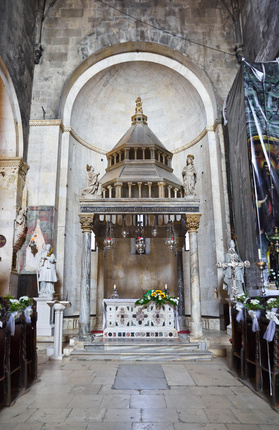 Sightseeing tour of the lovely Romanesque cathedral of St Trifone from the 12th century. Continue along the old Austro-Hungarian road and Lovcen, which offers spectacular views over the gulf of Boka Kotarska to Cetinje, a city founded at the end of the 15th century and a treasury of the Montenegrin cultural and religious life. After sightseeing, we will continue to Budva, the Montenegrin tourism metropolis. Tour through the Old Town with its unique architecture, narrow streets, shops and small churches that have not changed hrough history. On the way back farewell dinner at a local restaurant in village Osojnik. After breakfast, you’ll be transferred to the airport for your flight home.